Last November, Tommy Waters (Howard University) emailed me in his capacity as chair of CABAL (Capital Area Business Academic Librarians). He asked about the possibility of CABAL and BLINC working together sometime. Fellow BLINC officer Sara Thynne (Alamance Community College) and I liked that idea and proposed Richmond, VA, as a possible location. 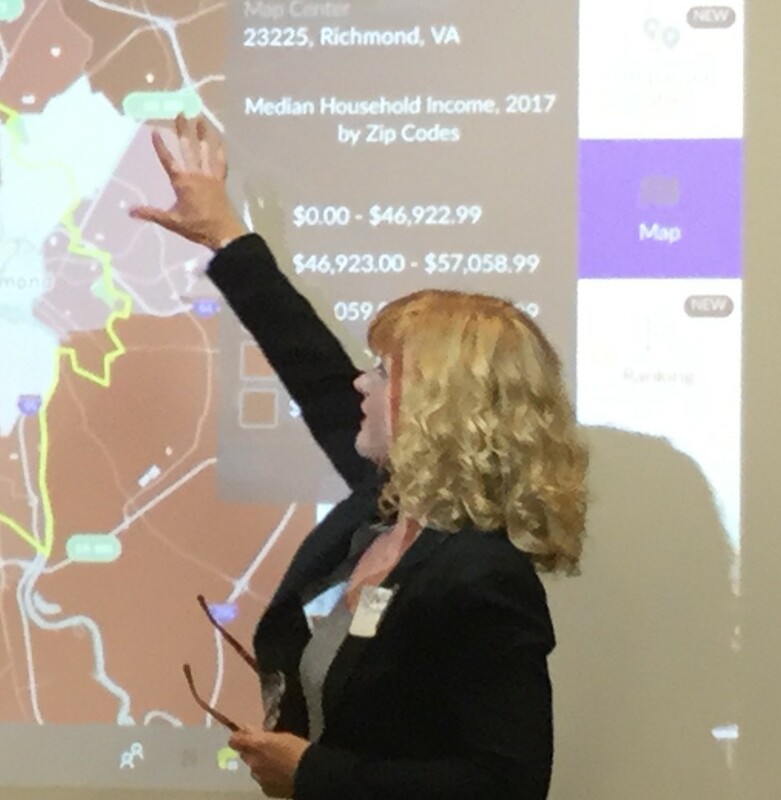 Carrie Ludovico (University of Richmond) volunteered her campus’ downtown Richmond location, which is where we met last week Friday for this day-long workshop. The night before the workshop, the BLINC folks plus three of our spouses/partners and a business librarian friend (whose membership in CABAL would be voted on the next morning) whom I met at the Charleston Conference gathered for dinner and drinks in the hip Carytown neighborhood. As I wrote last time, socializing and networking and supporting each other are really the core functions of BLINC and so we had a great time, concluding with a group walk and ice cream. Meanwhile, CABAL had a fancy dinner downtown that we were invited to, but after our recent fancy retirement dinner, we wanted to do something more casual this time. Weeding collections to create more space (and the headache of having to ask to withdraw government documents). I enjoyed seeing some old BRASS friends like Jennifer Boettcher (Georgetown University) and old UNCG friends like Amanda Click (American University). Amanda Click on a first-year online information evaluation exercise. I took notes on each but I’m reluctant to just cut and paste them here (email me if you are really curious about one of these). Several speakers talked about the less than thrilling results with earlier versions of their instruction plan, and then described more effective revisions. Several also discussed decision-making as the desired outcome of effective information literacy. Another theme: selling the value of subscription databases as expensive library products also used by professionals in the business world. Often in this blog I lament the limited opportunities for business librarians to discuss teaching strategies in our more specialized info lit realm, and the limited relevance of more general info lit content (ex. at LOEX and ACRL). So not surprisingly, I thought these presentations and the ensuing discussions proved the most interesting part of the Richmond workshop. I wish we could have kept on going. Good content from all five presenters with ensuing “compare and contrast” and “is this really worth the money?” discussions. Early in our planning of this workshop, we considered bringing in a vendor to do an hour-long training session. That would have been useful to the librarians who subscribed to that product, but I’m really glad we ended up with this format instead. No profound conclusion today. 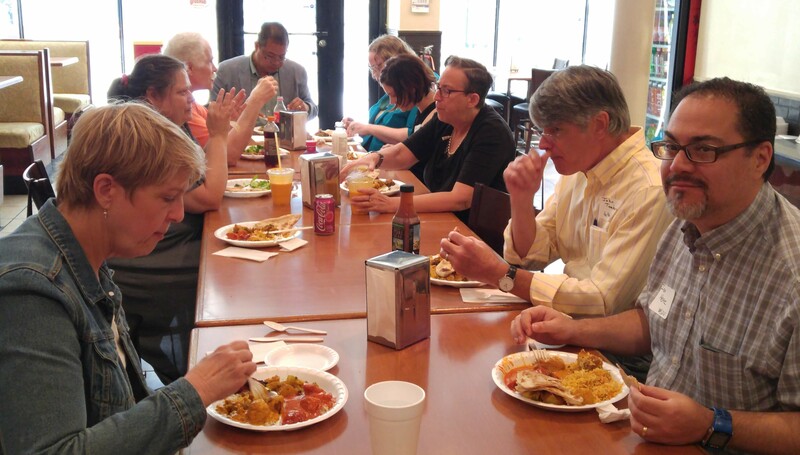 It’s always useful to get folks together to talk about shared topics of interest and build professional friendships and networks. That’s what makes successful professional organizations.